There are a ton of things you have to deal with when starting an online business. From products to platform, inventory, operations, finance, marketing, branding, and the host of other things that need to be in place to kick-start a profitable brand. It’s no wonder some people push off legal formalities till the end or never consider it. As an ecommerce business owner, it’s even easier to forget because you don’t have a physical location. Running a virtual office does not erase the need to put certain legal documents in place. A business license is one of those documents. I wrote this guide because I am often asked if a business license is necessary when starting an online business. The government likes to monitor most things and business permits and licenses are one way they keep track of what’s going on. A business license allows you to run your business within a certain location. It shows that you have the government’s approval to operate in the city, state or country that it is issued. Do You Need A Business License To Sell Online? Operating an online business does not exclude you from certain legal formalities. A business license is one of them. The licenses required you need depends on your location, the type of products you sell, and your business needs. Different countries have different laws. Knowing which applies to you is as important as finding a product to sell. You don’t want to go through all that hard work and end up getting slapped with a heavy fine all because you didn’t do the right thing. Every city and state also has different requirements and laws for obtaining a license. You’ll need to be informed of what applies to you. It is either issued at a federal, state, or local government level. You’ll need a federal license if you sell products that are heavily regulated by government agencies like the Food and Drug Administration. Animal products, alcoholic beverages, and explosives are products that fall here. States require licensing for specific occupations and the sale of certain products. You’d have to take a look at your state’s website to be sure of the license you need to have. Lottery tickets and alcohol are two products that require you to have a license in most states. For local governments, almost all businesses will have to get a license. City and County licenses fall here too. You may need to get more than one of any of the above. A general business license allows you to operate in a city or county. It also identifies your business as one operating in that jurisdiction. They have to be renewed every year or two. 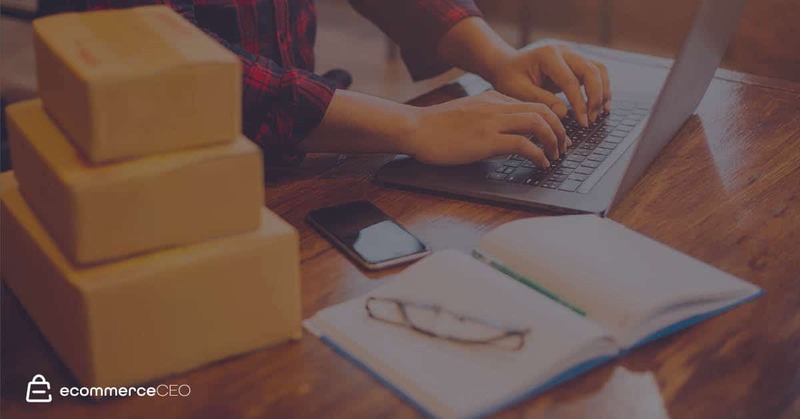 For most types of businesses online, home occupation permit is the most popular license requested by the government, especially if you are shipping products from your home. You may also need to get a seller’s permits. Do You Need A Seller’s Permit To Sell Online? Seller’s permit, like a business license, depends on your state. For example, if you are in Delaware, you don’t have to get a seller’s permit. For most states, the general rule is that if you sell products or services that qualify for sales tax, a seller’s permit is a must. It allows you to collect sales tax from your end customers. It may also permit you to buy products from suppliers/manufacturers without paying sales tax on them. Instead, you can give your supplier a resale certificate when you buy products that you either wholesale or retail in your online store. If you want to sell online temporarily, you can get a temporary seller’s permit. They last up to 90 days. The thing about seller’s permit though is that you may need more than one if your business has sufficient physical presence in different states. This is called nexus. Nexus is quite tricky. ‘Sufficient physical presence’ sometimes include things that you wouldn’t think of. Stored inventory is one of them. If your home state (for business) is Washington and your inventory is at Amazon’s fulfillment center in California, nexus has been established in both. You may need licenses and permits for both states to remit the tax collected on sales to residents. Seller’s permit and business licenses are two very different things. I honestly don’t know how people can still misuse both terms. A business license allows you to operate in any location and a seller’s permit identifies you as a collector of sales tax. You have to pay to get a business license, but a seller’s permit is free. Every country has laws controlling what you need to get when starting an online business. In the UK, licensing may not apply to every ecommerce business. In the US, all companies require a business license even if you don’t have a brick-and-mortar store. Find out what applies to you from your country’s business office. In addition, if you sell to residents of another country, one problem you may encounter is overlapping regulations. For example, having to pay taxes despite having no physical address in the US because you use Amazon FBA. There’s still a debate on that though. Ordinarily, this should be nexus, but a lot of sellers don’t remit taxes. For those that do, you don’t want to pay double sales taxes – to your home country and the USA. One way to go about this is to incorporate your business as a legal entity in the US. This separates what you get from your US ‘branch’ from your HQ. However, you will need a US mailing address and phone number. You can easily get those even if you stay very far away. There are benefits to this so if you think this is for you, you can look into it. I know a lot about selling but taxes ain’t really my thing. So I recommend that you also consult a CPA. It will help a lot. I have also noticed that seller’s permit bring a lot of confusion for non-US residents that sell to US residents or buy from US-based suppliers. Seller’s permit does not apply to you. Discuss with your supplier to find out the document they require. In most cases, your country’s documents are sufficient. Every city, county, institution, and state has its own price. What you sell will also affect the price. It is usually around $50 – $400 or more. There may be additional fees for fingerprinting and other types of processing. Some Institutions ask for almost the same amount when you want to renew. Others request for a lower amount. Just ensure that you renew on time. If not, a part of your precious revenue will be cut away to settle the penalty. If you do not have frequent carrier pickup and deliveries, your license is simple to get. Same thing if you don’t store inventory. If you sell both online and offline or handle inventory and fulfillment from your house, it is harder. You’ll need to talk with your city planning and zoning department. They may have to carry out a zoning review to find out if operating a business out of your home violates local zoning restrictions. Whether your business is simple or complex, it is better to have plenty of information or at least one person who knows the ropes to guide you. Small Business Administration is one good place to start. You can check out the mentor-protege network and the courses they offer. SBA’s blog section also has some really nice stuff. After this, you’ll need to check with your city, county, and state to see what sort of licenses you will need and their requirements. When you have located that, you should download the forms online or pick them up in person from their office. Before you fill the forms, you have to determine your business structure, have a detailed description of your activities, have a sales tax license and other special permits (depending on your products/activities). Fill the forms and file them with your area’s finance department or the department that applies. Filing the forms require a fee. Pay that and all you have to do is wait for your license to be ready. This can take a couple of days or weeks. If you think that it stops at just getting the license, think again. The law is fluid and can change. A change that could affect your online store. So, stay informed on updates and protect your business. Getting a business license makes you look more credible. Once you have done this, you can start a business the legit way. Me? I am a bit of a rebel when it comes to these legal hoops. Don’t let the legal process be a roadblock. If you haven’t gotten a license yet, you can still set up your online store and sell a few products. The hassle of filing expensive legally binding paperwork doesn’t make sense unless you have a viable business. No one is going to shake you down for making a few bucks while you validate your business. Just ensure that you get your business tax ID. With this, you can create a business bank account and also integrate a business PayPal account to your site. If you start a home business, make sure you do get all your permits before it turns into a warehouse warzone. If you have questions on getting a business license or seller’s permit, shoot them in the comment section. I’ll try my best to answer. But I strongly recommend you check your city’s office or website for more information. Thank you for the information. I am starting a business online selling music such as beats, instrumentals and sample packs. They are all digital products, no hard copy physical CDs or vinyls. I live in California. What sort of license would I need to be legitimate? I have a client who is purchasing a beat for his business and may need information for tax purposes. Thank you in advance! You’d have to check with your local authorities. In my state of Florida I have a business license and LLC. Hey Darren, I am launching my product on Kickstarter in February. I just applied for an LLC and am wondering if I need to apply for a business license as well or if I should wait until I actually get sales flowing for my product? I currently live in Chicago, but will be quitting my job in February and will be traveling with my wife for 6 months around the world. Since I won’t have a permanent address, I am wondering how I should move forward with business licenses. If you respond to this, thank you in advance! The main thing is to get a business bank account. Don’t let the license be a blockade. You need one eventually, but no one is going to shake you down for a few initial sales. I am starting an online boutique. I will be storing my inventory in my parent’s basement. What kind of business license do i need to get? Hey Katy – thanks for writing. You will have to check with your local chamber of commerce for details. Since you will be doing it from a residential area – theres potentially grey (ie not supposed to ) area on operating a business. I am starting an online store through Shopify online. I will be selling kitchen tools and gadgets. Through the online manufactures that are affiliated with Shopify. If All goes well I would like to start two other stores through the same means. One for apparel and one for whatever my daughters has an interest in. (She is eighteen) so the niche would be focused toward that age group. 18 to 25. We live in Michigan. Can I use a DBA as an unbrella for the three online stores the names will have the same prefix- ReadySet-? Yup. Just make sure that you edit your payment gateway setting for each site so the credit card statement will show the brand name of each site. I’m more curious how you decided your niche, if you have a definable target market and if you’ll be selling your own brand vs someone else’s. It’s tough to build an eCommerce business when people are one Amazon search away from cheaper prices. i currently sell children clothing and accessories online. We have our resales permit and LLC. We have noticed others selling as a hobby that do not have these. Is that legal? Are you able to turn them in? Who to contact. Is it legal? I don’t know. It depends on their local laws. It’s really hard to get someone in trouble for this stuff. If you really wanted to disrupt someones hobby – you could contact their local chamber of commerce and let them know how it’s disrupting/breaking the local rules. In most cases, local chamber of commerce don’t want people to turn their homes (residential areas) into a warehouse. But this is not something that people are actively cracking down on. Wow – you have a lot of experience and interests. Id say focus on one thing. What type of business are you looking to create online? Are you looking to sell your own brand of hair care products? I know theres a market for hair styling online courses. What drives you? I was thinking about starting online retail in the US, the idea being dropshipping from Asia. Do I need to form a US-based business entity (LLC for example) for this? Couldn’t I just manage the e-commerce site with my existing Estonian company? I could receive USD payments to a Transferwise account. I am not totally clear on the international laws. I have only worked in the US. You should consult a tax professional for this.